All work fine. 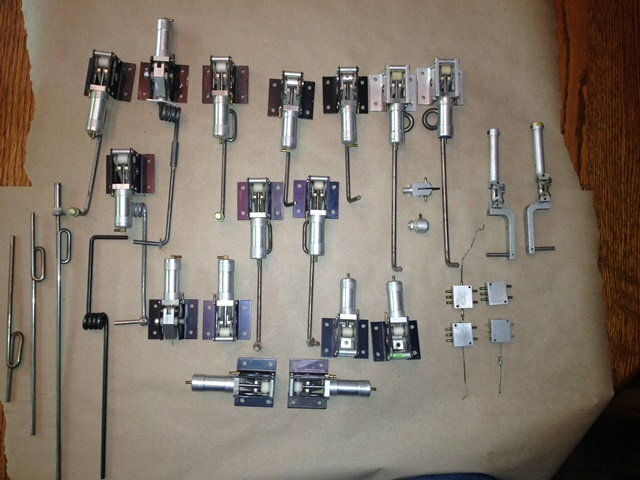 Not needed, also have connectors, 4 way valves, on off switches, etc. Two sets of mains not mounted. Used are VGC. Two scale struts, and two retracts, very heavy duty, with 4/16" strut, not Roms. Send all in picture with miscellaneous fittings. $95.00 plus $7.50 shipping for all. PayPal.